Looking for a creamy and delicious dip for your fried dishes? Check this out! Gravy is by far one of the most popular dips in the world. It goes with most fried dishes and it's also easy to make. Anyone with the right ingredients can make a great batch of gravy. It's usually made from drippings, mixed with aromatics and stock. Did you know that you can make gravy with canned mushroom soup? 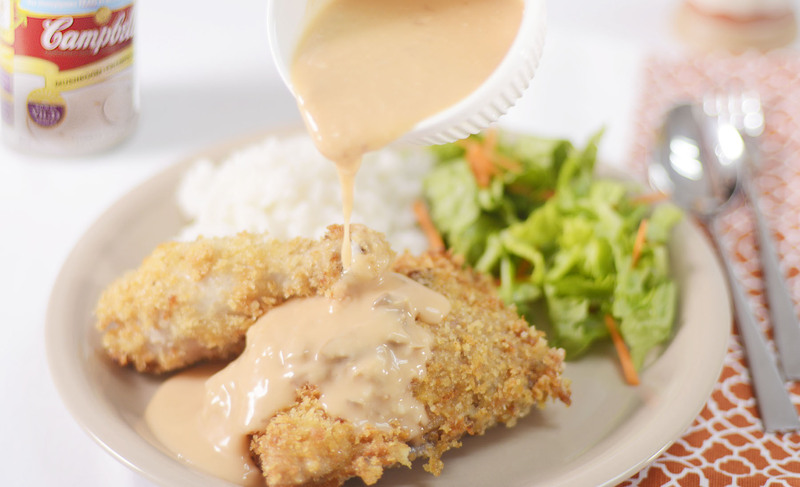 You can use Campbell's Cream of Mushroom Soup to make your gravy recipe taste creamier and more delicious. Campbell's is a premium, and affordable brand that can be used as is or as an ingredient. 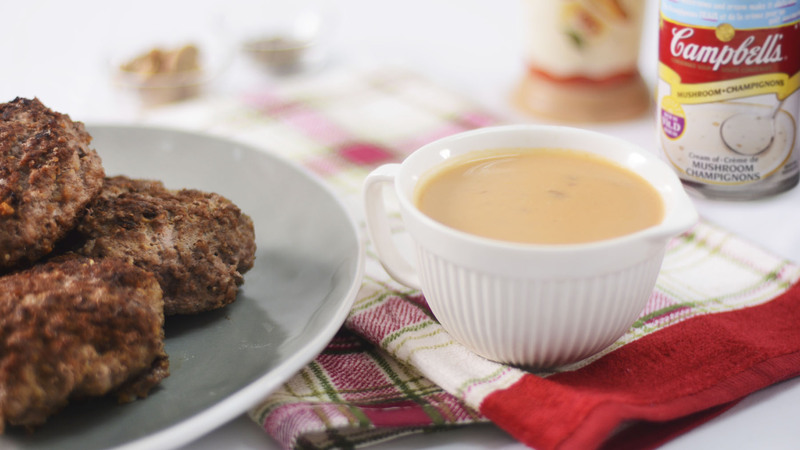 Here's a quick and easy gravy recipe you can do with Campbell's Cream of Mushroom Soup. 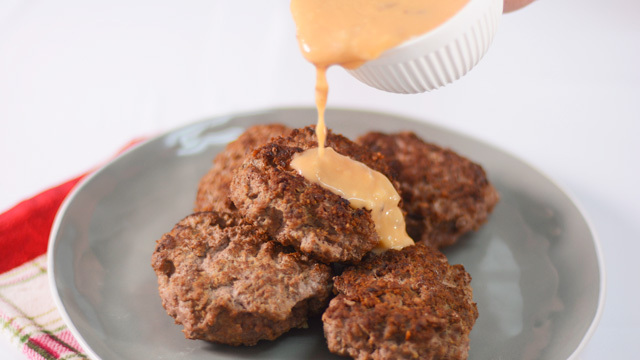 Pair it with your bacon burger patties or country style fried chicken for a fulfilling lunch! Skim off oil from chicken stock. Set aside. Drizzle oil into a saucepan, then sauté garlic, tomato paste, mushrooms, herbs, and spices. Add chicken stock and Campbell's Cream of Mushroom Soup. Simmer for 5 minutes. Add salt and pepper to taste. Add cornstarch and let it boil to thicken, whisking continuously to avoid lumps. Turn off heat and swirl in cold butter until it melts.